School is back in session and that means more pedestrians and carpooling vehicles on the road. There are a lot of laws for navigating these scenarios, but many drivers are in a hurry and forget or disregard them. To keep everyone safe, here is a refresher on the laws of safe driving during the school year. The areas around a school are often full of school kids walking to and from school. Parents and carpools dropping kids off and picking them up cause heavier traffic than other times during the day. To help keep everyone safe during these times, states have designated school zones. The times surrounding these busy times require drivers to slow down. Depending on the state and the area, most school zones require drivers to go no faster than 20 miles per hour, but some speed limits go as low as 15 miles per hour. The end of a school zone is usually marked with a sign, allowing drivers to resume regular posted speed limits for the area. However, it is good to remember that a speed limit is just that; a limit. It’s not a requirement to go 25 miles an hour in a neighborhood. If kids are around, even outside the school zone, slow down. Kids can run out in the front of an oncoming car chasing a loose paper or step off the sidewalk for any reason. As the driver, you need to be ready to stop at a moment’s notice. Cross-walks are in place to give people a common area to cross to keep pedestrians safe while also avoiding slowing traffic with too-frequent crossings. Many schools have a crossing guard at the cross-walks in the most dangerous areas. Drivers must yield to the crossing guard and wait to drive until the guard is completely out of the road and their stop sign or hand is down. When approaching a cross walk with no crossing guard, drivers must stop and wait if someone is standing and waiting to cross. Kids are harder to see, so driving slower and carefully approaching these areas as a driver helps everyone stay safe. Do not drive through the cross-walk area when pedestrians are on the road, even if you are turning. Keeping the intersection or road clear helps other drivers see the pedestrians too. Not every road has a crosswalk either, so be smart and let kids cross safely. School buses stop frequently, dropping off or picking up kids along their routes. During these times, a school bus will open its doors, which automatically causes lights to flash on the exterior of the bus and a stop sign to extend. Laws require all other drivers to stop because this means kids are crossing in front of and behind the school bus to get to their homes. When other drivers ignore these laws, they might hit a student. While the slower speeds and frequent stops may frustrate other drivers who are in a hurry, it’s vital that they stop when the school bus is loading or unloading students. In a scenario where it’s a child versus a car, it is always the pedestrian who gets the worst of it. 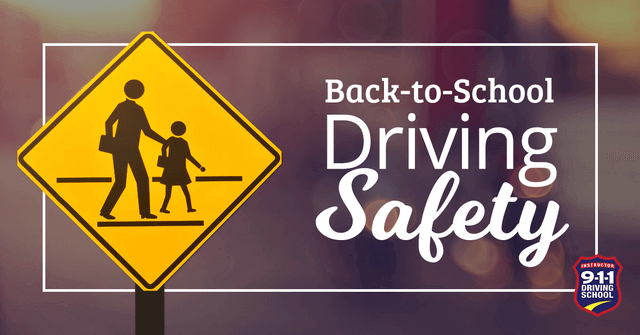 The safety of all students lies in the hands of the drivers in the area, which is why penalties are much harder when these school-related laws are broken. Driving well helps everyone reach their destination safely. Make sure that you are driving smart and obeying these laws.